Jenna Rouse grew up in the Bay Area. She attended college in Pennsylvania at Grove City College where she graduated with a Bachelor of Arts Degree in Business Administration in 1984. She received her Juris Doctor Degree from Santa Clara University in 1989. She was admitted to practice law in California in 1989. Jenna Rouse is a Certified Specialist, Workers’ Compensation Law, The State Bar of California Board of Legal Specialization. 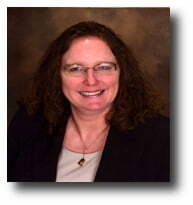 Jenna Rouse worked as an attorney with premier firm of Mullen & Filippi, LLP 1991 until 2011. She worked as an Associate Partner 1995 until 2011. She has now established her solo practice in Workers’ Compensation Defense servicing the insurance industry and self-insured employers throughout California. Over the years of practice she has defended numerous carriers and self-insured employers. She has earned the reputation of being hard working and driven to achieve expeditious fair results for her clients. Her office is in Redding where she resides with her husband and two lovely daughters.